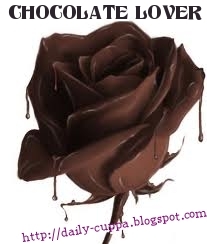 I am a Chocolate Lover... can have it anytime & all the time.. 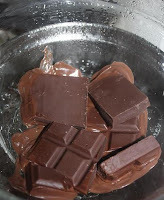 Break the Chocolate into small pieces and melt it over a double boiler. 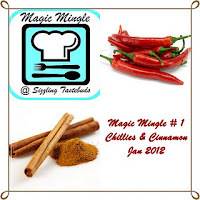 Once the Chocolate is melted, add Red Chili Powder and mix well. Remove from the boiler and let the mixture cool. In a seperate bowl, whip the Cream till it becomes semi-solid. 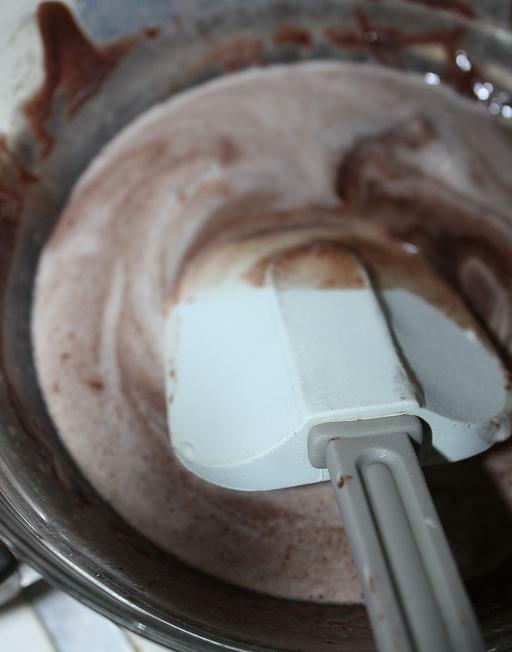 Slowly fold 3/4 of the whipped Cream in the Chocolate mixture. Pour into shot glasses and refrigerate for an hour or till set. Take the remaining whipped Cream and mix Cinnamon Powder into it. Thinly layer this mixture on top on the set chocolate shots. Garnish with Cinnamon Powder. 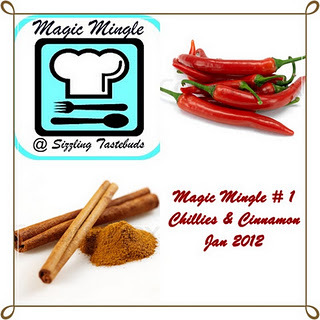 This recipe goes to Kalyani's Magic Mingle event. 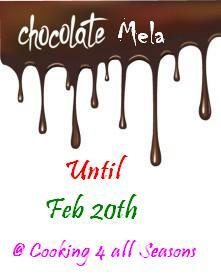 And to Resh's Chocolate Lover event. And to Srivalli's Chocolate Mela event. 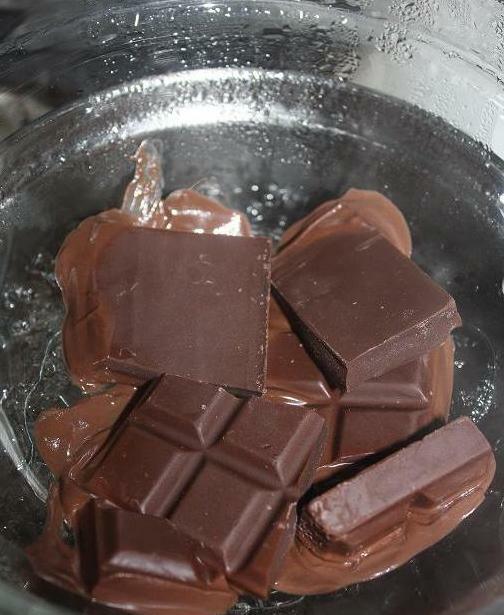 And to Srav's Chocolate Fest. looks superb n yummy ! thanks for linking it to MM, Riddhima..
Wat an elegant and super tempting shots. super kool way of pampering oneself; a sure party pleaser too ! 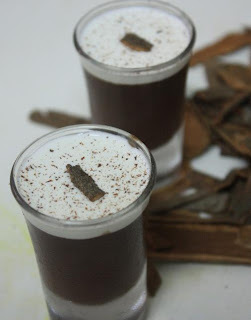 I'm sure all choco lovers would love it, including me! Easy one, good when hosting large no of guests! super delicious and yummy !! thanks for linking to the event !! Nice to know about you I am your happy follower ! !